Alex Fynn has advised the FA, the Football League, and several Premier League clubs including Arsenal on media and marketing. He has occasionally helped Arsenal FC manager Arsene Wenger on football matters, and advised former Arsenal FC director David Dein on television rights and the creation of the Premier League. In this presentation Alex, drawing on the best selling book Arsènal: The Making of a Modern Superclub (co-authored with Kevin Whitcher) (first published in 2011, and brought up-to-date [incorporating events up to September 2016] and re-published in October 2016) Alex discusses how he first met Arsene Wenger early in his career, will speculate on why Arsene never became the manager of Tottenham Hotspur, and discuss some arguments he has had with the great man. He has known David Dein for over 40 years, and it has, in Alex’s own words, been an “up-and-down relationship”. Alex will discuss why this might be so with reference to his assessment of Arsenal’s business strategy with particular regard to the (1) club’s transfer policy, (2) the role of the manager, (3) the club’s media relations, (4) their commercial activities, (5) the move to the new stadium. Arsenal is often portrayed as a well-run football club. Alex will suggest that whilst this might be true, nevertheless, in his assessment, there are areas where the club could perform more effectively. Alex Fynn discusses the key themes Arsènal: The Making of a Modern Superclub with Birkbeck School of Business, Economics & Informatics Communications Office James Fisk – see interview. Fynn, A. & Whitcher, K. (October, 2016). Arsènal: The Making of a Modern Superclub. London: Vision Sports Publishing. 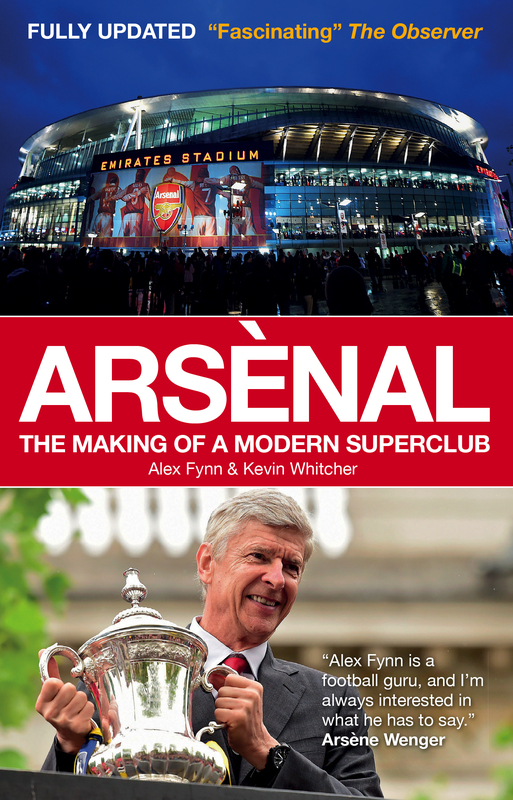 Those attending the event will be able to purchase a copy of Arsènal: The Making of a Modern Superclub for a special, event-only, price of £5 (RSP £8.99).